Zumba is the name of a dance fitness program started by a Columbian in the 90s. 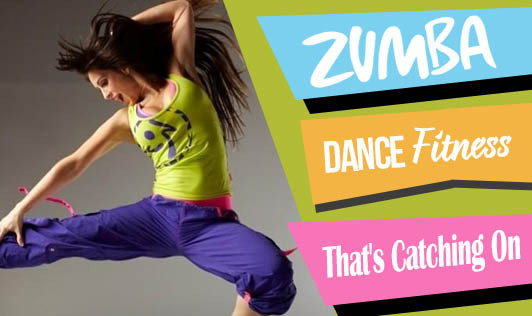 To make exercise more fun, Zumba uses Latin music with dance moves. It combines salsa, mambo, flamenco, cha-cha-cha, samba, hip-hop, tango, etc. Zumba has become so popular that this program is being conducted in many countries. Since Zumba uses a lot of aerobic activity, cardiovascular health is bound to improve, along with calorie burn and other benefits of exercise. The promoters claim that it also uses all the major muscles because of its various movements. Try out a Zumba program if you wish to move like Shakira! She's supposed to have learnt her dance moves with the help of Zumba. Even if you don't want to move like her, it might still be fun to learn a new form of exercise.